Borlotti beans from Poggio Aquilone in Umbria have been known and used as a health food since antiquity. 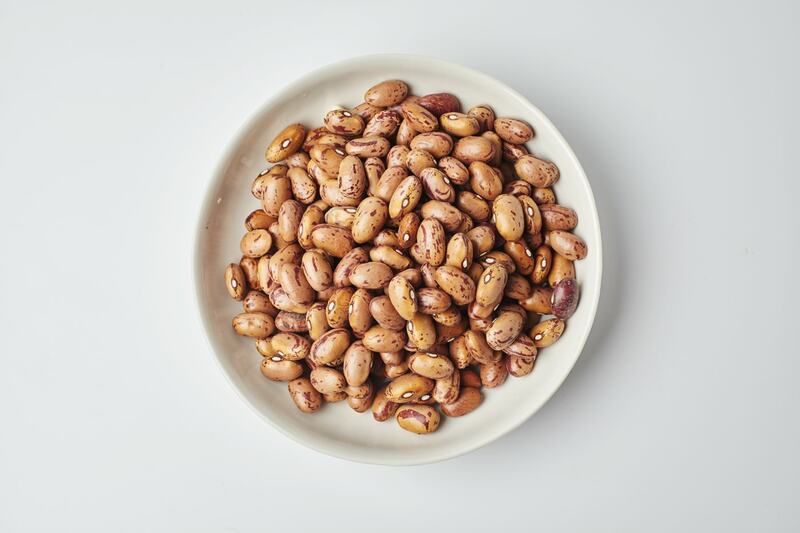 Rich in vitamins, protein, fiber and minerals, this lovely spotted little bean is basically a balanced meal unto itself. Borlotti beans' buttery texture and delicate flavor make them endlessly versatile in kitchen. They are the basis of Italian minestrone, and can also be added to just about any of your favorite vegetables and herbs for a healthy soup, or paired with your favorite short pasta shape - like our maccheroni or anelli - for the classic Italian peasant dish pasta e fagioli. Pro tip - soak beans overnight in room temperature water and they’ll cook up in just an hour in boiling water the next day. In addition to borlotti beans, Bio Alberti also produce chickpeas, cicerchie (wild chickpeas), black beans, lentils, cannellini beans, farro dicocco, farro monococco, and orzo (barley).